Sparkle will be giving away a Sunflower Charlotte to one lucky person! For a chance to win follow the instructions here! 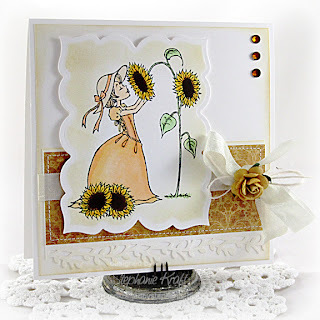 If you want some inspirations on how to use the stamp check out this lovely card made by Stephanie Kraft! I also love the colour combinations used by Shaela Odd below. October last year we released other fall themed stamps. 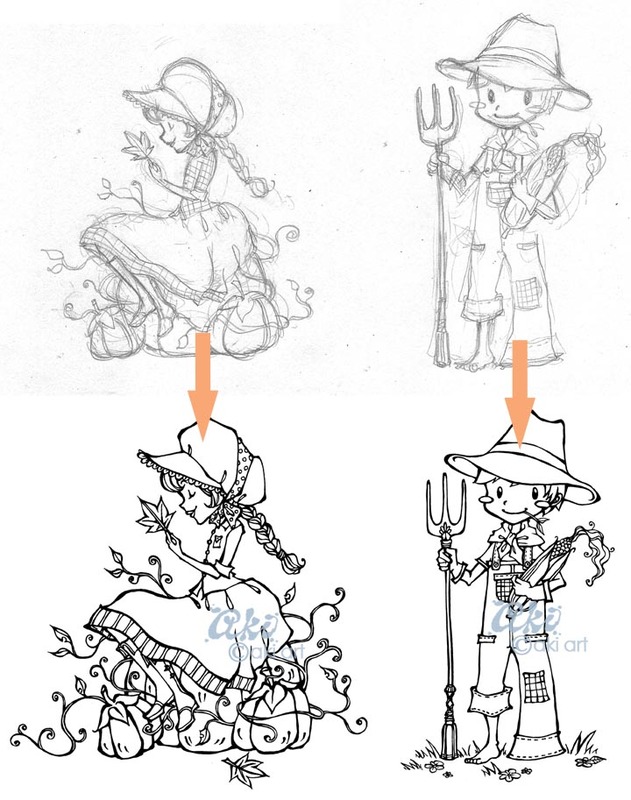 I really enjoyed drawing up Pumpkin Charlotte. 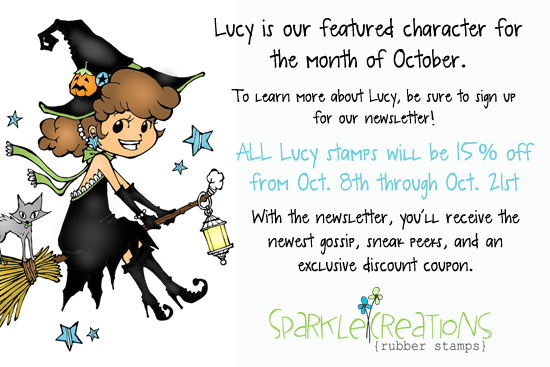 But my all time favorite October stamp is the Broomstick Lucy! When I have a spare time would love to colour her up! I was brought up on a farm which meant that the closest neighbors were at least a few kilometers away... a bit too far to walk for just a treat! So gotta make the most of Halloween spirit while I live here in the city! Sparkle Creations Rubber Stamps store is doing LUCY promotion this month so check out all the Lucy stamps! I love seeing your sketches and how they evolve into these lovely images! Especially love this Charlotte! Thanks for the feature, Aki!